Miss Manners could probably write an entire column about the death of thank-you notes. Instead of thank-you notes, businesses fire off impersonal emails or send out bulk mailings to their customers. Emails end up in spam folders, and bulk mail-outs make their way into trashcans, so customers don’t realize they have been properly thanked. 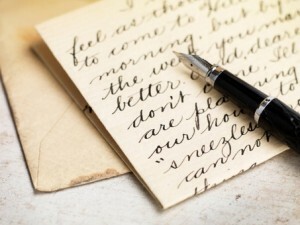 If you want to make Miss Manners proud, it’s time to consider handwritten thank-you notes. You can hire a service to create and send the notes for you, so you can enjoy the benefits without spending any time on the process. According to the Harvard Business Review, companies send out more than 100 emails each day, while young adults send or receive around 100 texts each day. At the same time, people receive approximately one personal letter every seven weeks. These numbers mean your thank-you emails and bulk mailings get lost in the shuffle, but your handwritten thank-you notes stick out to the recipients. They show appreciation in ways that other forms of communication don’t, making handwritten notes well worth sending. Most businesses put a lot of emphasis on the first impression with a customer. They go out of their way to ensure that customers like them from the get-go. Then, they make the sale and forget about the customer. Endings are just as important as beginnings. If you end the transaction the right way, you will build customer loyalty. Customer loyalty translates into additional sales, plus referrals. The easiest way to build that loyalty is with a handwritten thank-you note. These notes put a heartwarming end to the transaction. They make people think of your business in a favorable way, and those thoughts will stand out the next time they look for goods or services. They will also make people more likely to become advocates for your business. Writing your own notes is time-consuming, but you can simplify the process by using a service. Services that provide handwritten thank-you notes handle all of the details so you’ll get the accolades without the hard work. It’s nice to get the credit without putting in the time, so don’t pass this opportunity up. Need help with what to put in your thank you note? Click here for more help.